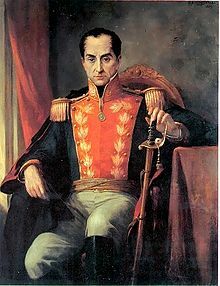 Simon Bolivar (1783–1830) was a Venezuelan military and political leader who was instrumental in helping Latin American countries achieve independence from the Spanish Empire. During his lifetime, he helped countries such as Venezuela, Colombia, Ecuador, Peru and Bolivia to achieve independence. Bolivar also helped lay the foundations of democracy in Latin America – serving as president from 1819 to 1830 of the Hispanic-American republic known as Gran Colombia. Simon Bolivar was born July 1783, in Caracas, Venezuela to wealthy aristocratic parents in Venezuela. 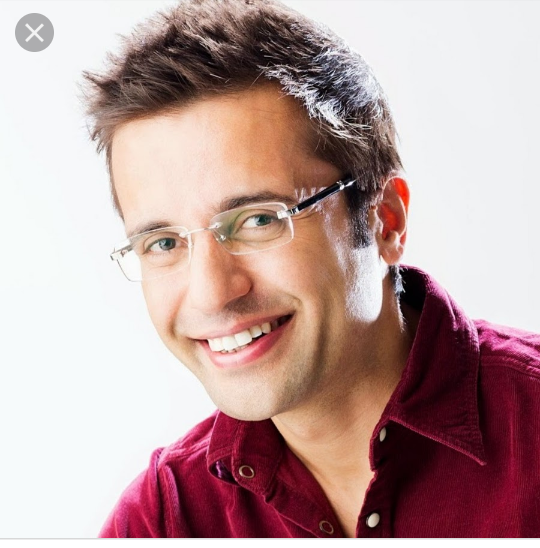 His parents died when he was young, and he was largely brought up by his nurse, family friends and a series of instructors and educators. One of the most influential of his teachers was Don Simon Rodriguez, who taught the young Bolivar about the ideals of liberty, enlightenment and freedom. Bolivar became enamoured of the ideals and vision of the American and French revolutions which took part during his lifetime. Later as president of Gran Colombia, he sought to imitate some of these democratic ideals and create a federation of Latin American states. In 1804, Bolivar was in Paris and witnessed the coronation of Napoleon. Bolivar was impressed and felt that Latin America needed a similar strong leader. When he was 14, his mentor Rodriguez had to flee the country because he was under suspicion of plotting against the Spanish rulers. Bolivar entered military academy Milicias de Veraguas, where he developed a passion for military strategy. In 1802, while he was in Madrid continuing his education, he married Maria Rodriguez. However, shortly after they both returned to Venezuela, she died from yellow fever. Bolivar never remarried. However, he had a lover Manuela Saenz, with whom he maintained a close relationship. 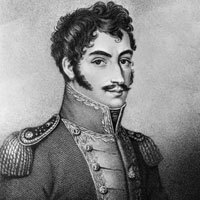 In 1813, he was given his first military command in Tunja, Colombia where he began a successful military campaign – attempting to liberate Venezuela from Spanish forces and restoring the Venezuelan republic. However, his first restoration of the republic was short-lived and in 1815 he was forced to flee to Jamaica where he narrowly avoided an attempt on his life. In 1816, with the help of forces from Haiti, Bolivar was able to land in Venezuela and he began a long campaign ‘the admirable campaign’ to take back Venezuela from the Spanish. His strategy was to first fight for independence in New Granada. When this was successfully completed he was able to launch campaigns from this base to gain Venezuela and Ecuador their complete independence. Bolivar was hailed as ‘El Libertador’ – the Liberator. In 1821, his successful military campaigns enabled him to become the president of Gran Colombia (a state covering several Latin American countries, recently liberated from the Spanish). He then proceeded to liberate Peru from the Spanish, decisively beating the Spanish in 1824. In 1825, the Congress of Upper Peru was named The Republic of Bolivia after him. However, Bolivar’s grand vision of a federation of Latin American Republics (like the United States) proved difficult to hold together. There were frequent resentments from different regions and Bolivar was forced to take dictatorial powers to hold the country together. However, this increased the alienation of his political opponents. In 1828, he narrowly avoided an assassination attempt (helped by his lover Manuela Saenz). When writing the Bolivian constitution, he envisaged a lifelong presidency – similar to British constitutional idea of a hereditary monarch. Bolivar was strongly anti-slavery, despite slavery being an important part of the Venezuelan economy. But, this lifelong presidential idea was unpopular within the Gran Colombia.